Worried about hard drive failures? 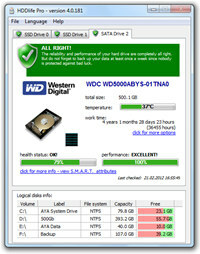 Get hddlife A real-time hard drive monitoring utility with alerts, malfunction protection and data loss prevention functions. Supporting both magnetic and solid-state disks, this hard drive inspector offers advanced proactive hard drive failure detection system controlling all of your hard drive risks. Hddlife uses s. Technology, works both for single pcs and large computer networks and supports desktop and mobile hard drives, ssd disks, external storage and usb enclosures. The s. Technology was jointly developed by different hard drive manufacturers to accurately predict hard drive life span and prevent hdd malfunction. Hddlife reads and displays s. Attributes in real-time, alerting a system administrator if particular hard-drive attributes exceed threshold values, putting the data stored on these drives at a risk. The system administrator can then backup data and/or replace endangered hard drives. Hddlife loads with windows, compares new attribute values with previously stored values and consumes absolutely no memory. The program is extremely straightforward No fundamental knowledge of pc or hard drive technology is needed whatsoever. 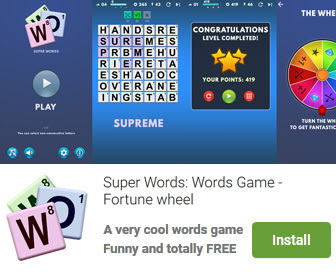 100% free to download and try. HDDlife Pro is an utility that works under windows xp, windows vista and windows 7. It supports both 32-bit & 64-bit windows editions, therefore it could run faster on 64-bit computers. Estimated download time for HDDlife Pro on a common adsl connection is less than a minute. Version 4.0.182 was released two thousand six hundred twelve days ago by BinarySense Inc.. Click the green download button to download it now.